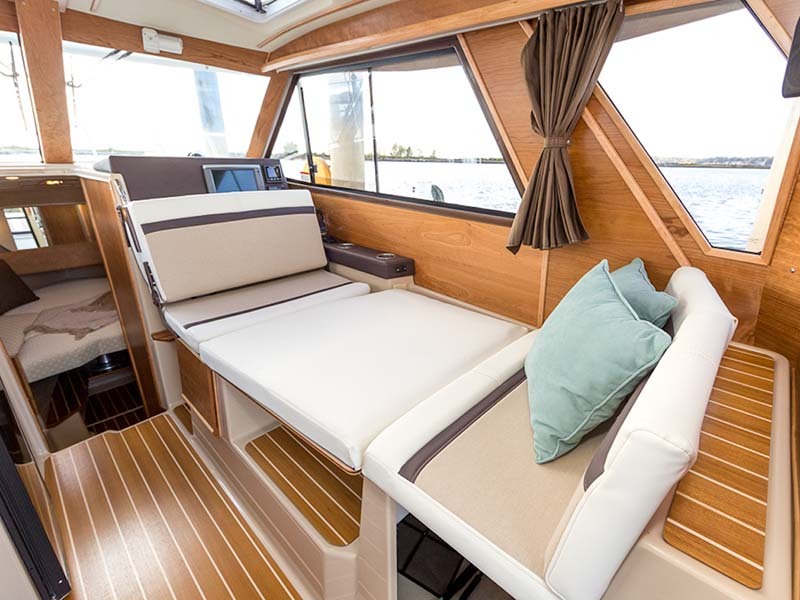 The C28 forward stateroom, with its convertible V-berth, television and private head with shower, offers exceptional privacy and comfort. 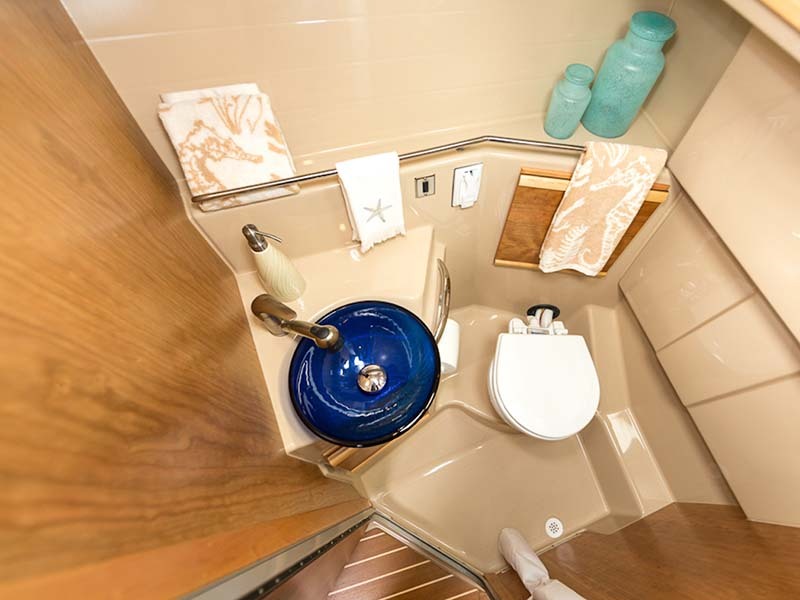 The C28 adds the convenience of a mini-galley in this space to create a welcoming after-hours retreat…or a separate hideaway for the kids. 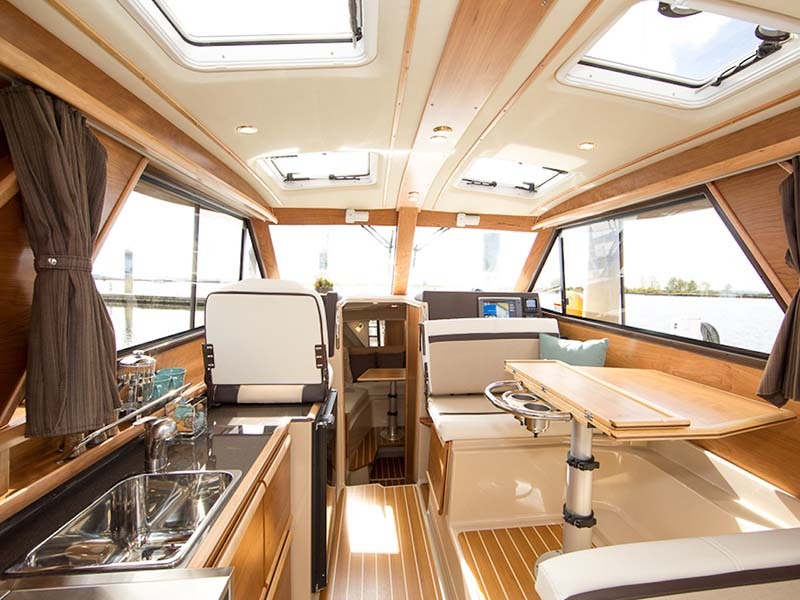 The C28 includes a self-bailing innerliner cockpit that’s ideal for fishing or relaxing at anchor. 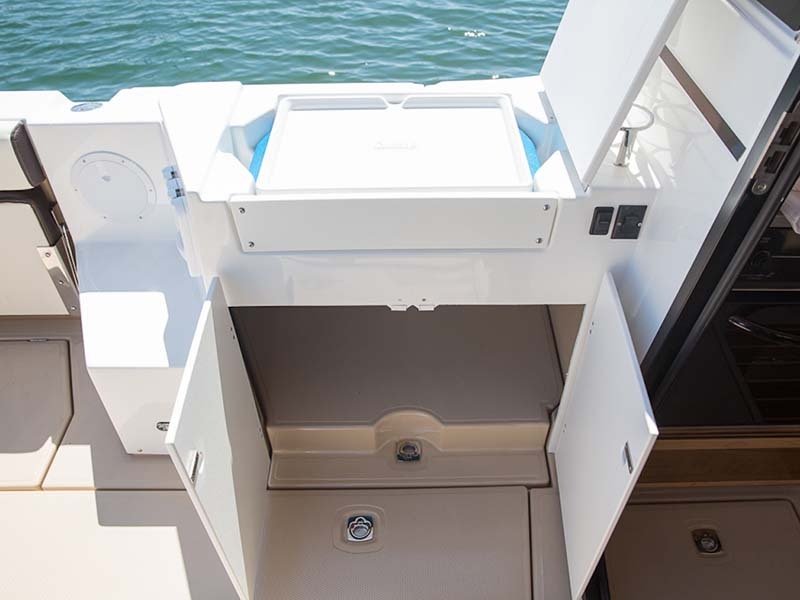 A solid gate offers access to a custom transom platform with integral boarding ladder for watersports or easy access to tender or dock. 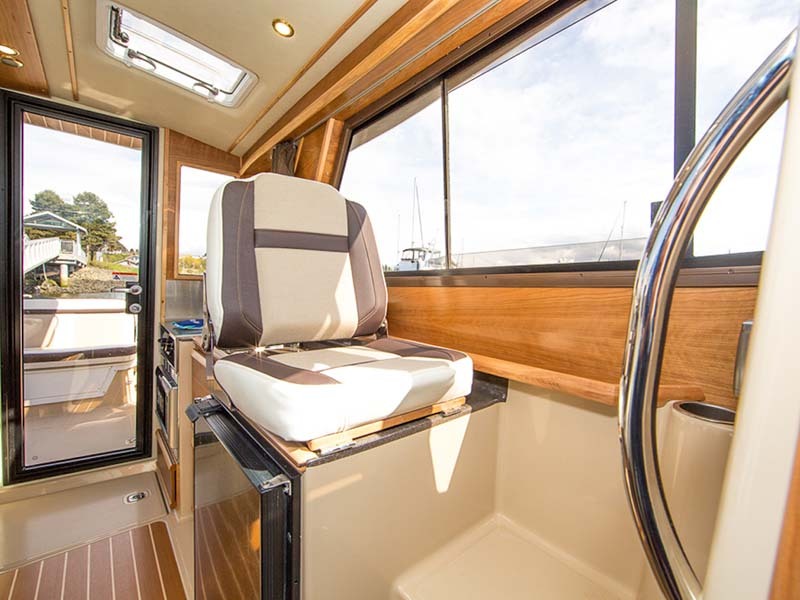 The C28 cockpit seating plan incorporates a reversible seat integrated into the transom as well as flip-out seating from the Starboard and Port sides. 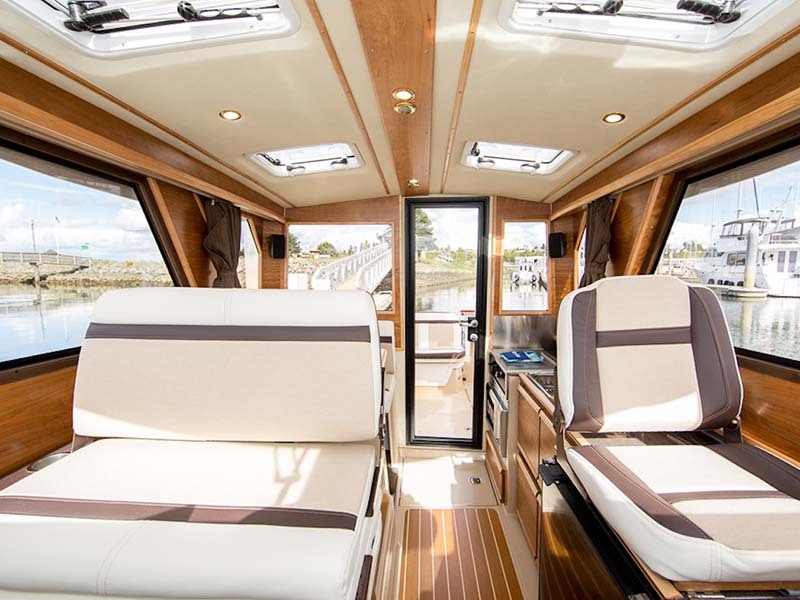 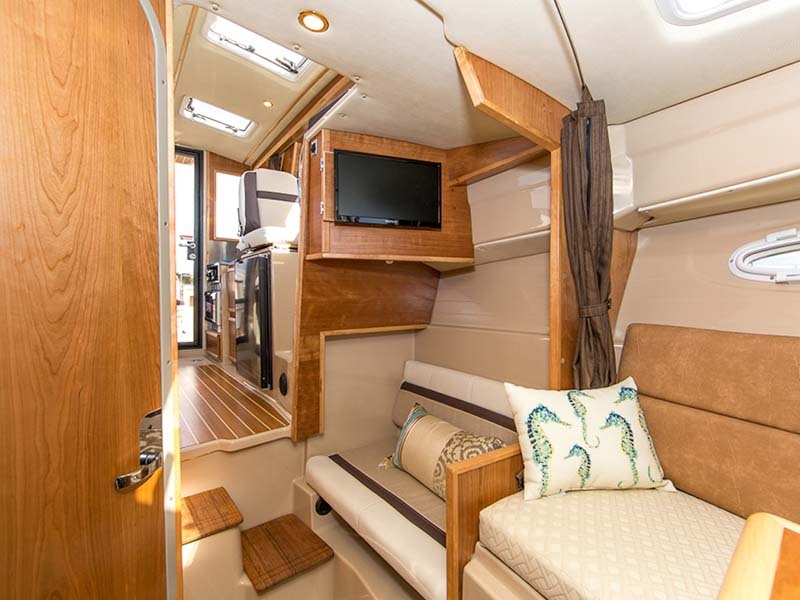 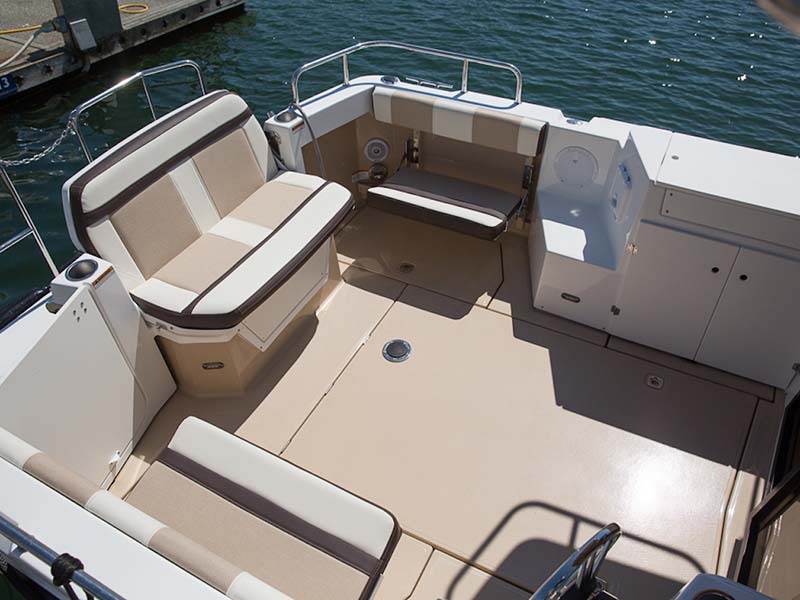 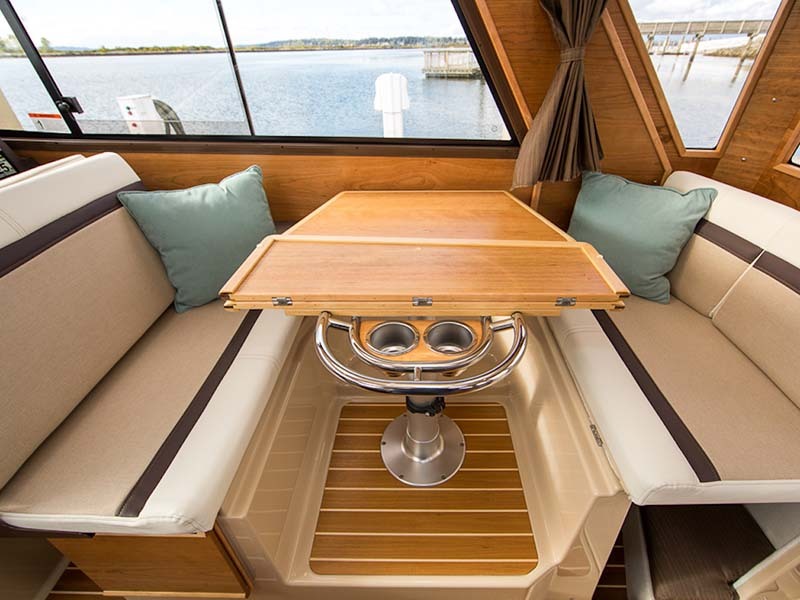 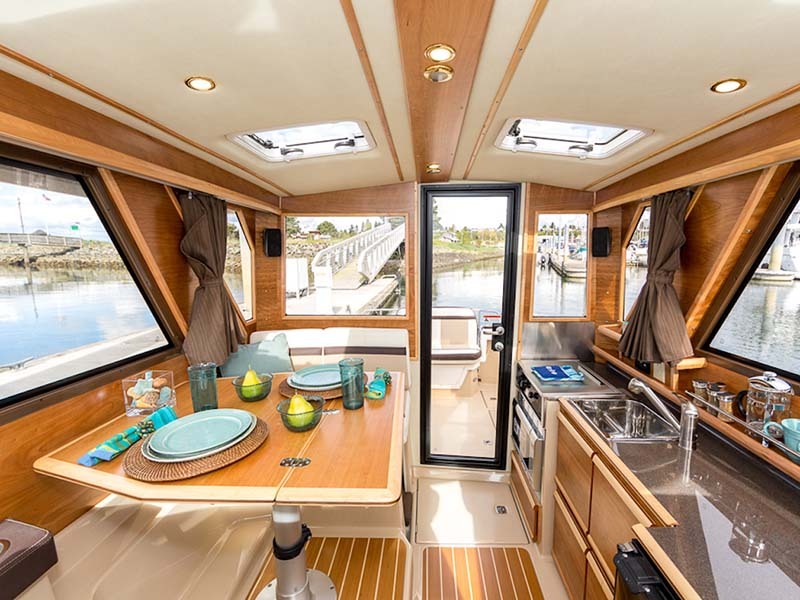 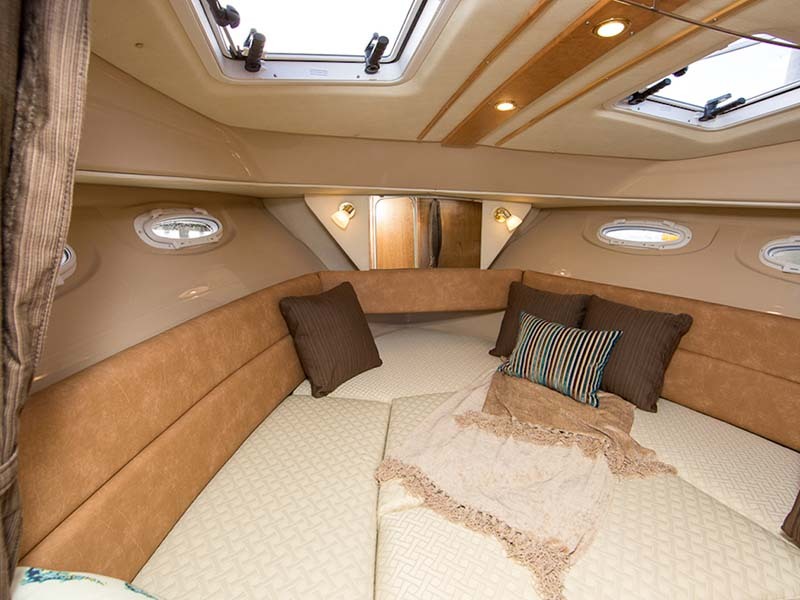 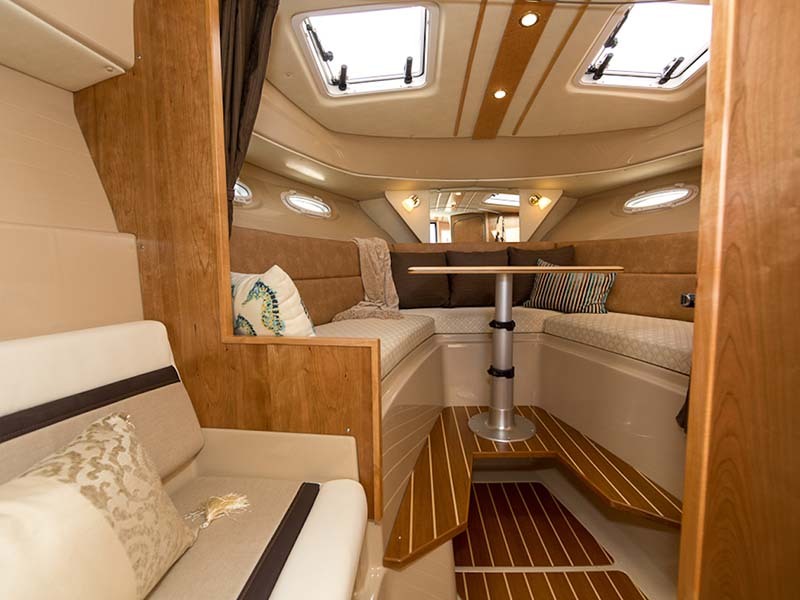 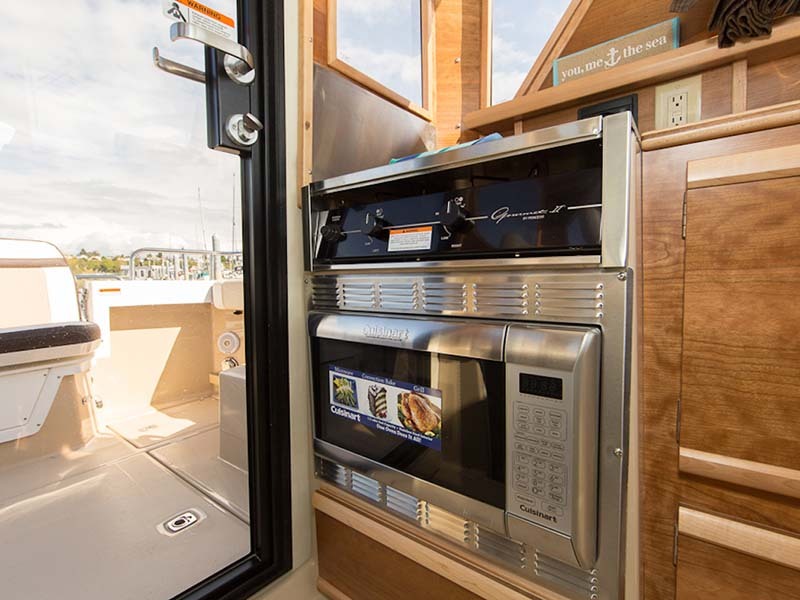 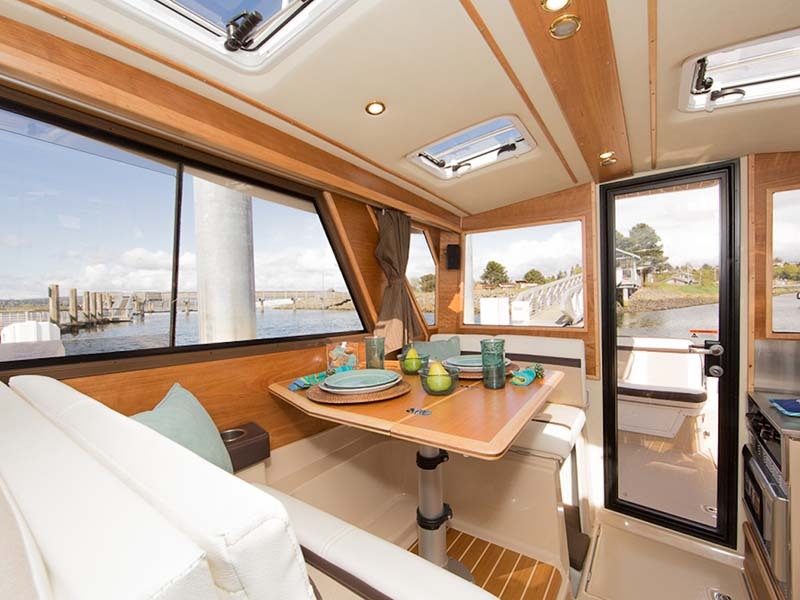 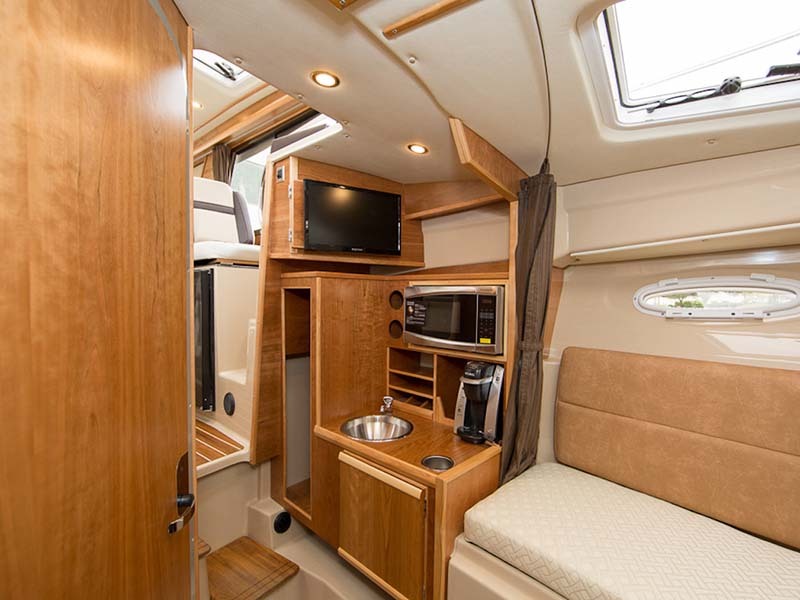 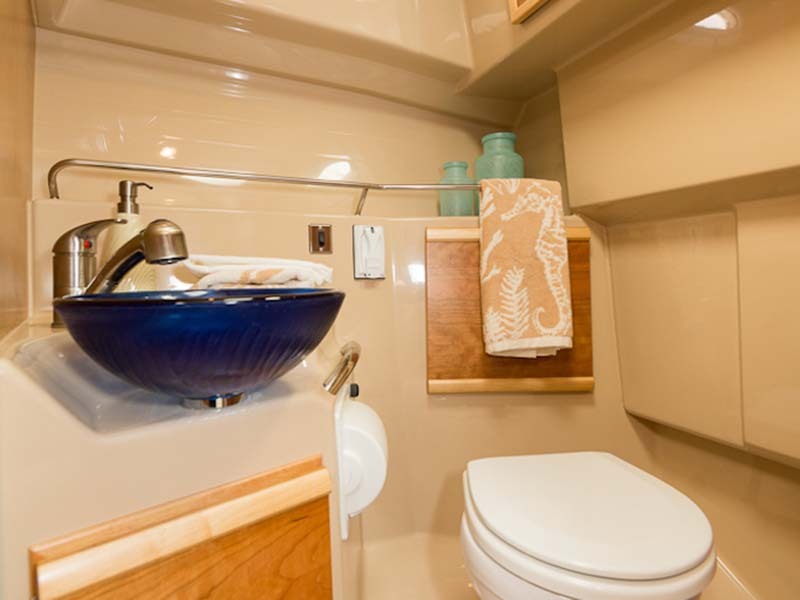 With nearly 16 square feet of additional deck area, the cockpit on the Cutwater 28 also includes built-in cabinets for refreshments and extra storage volume.. 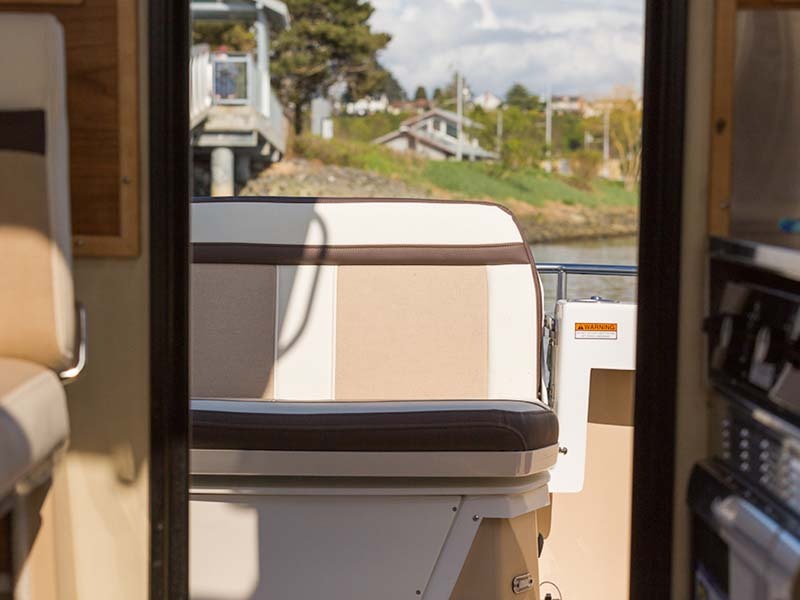 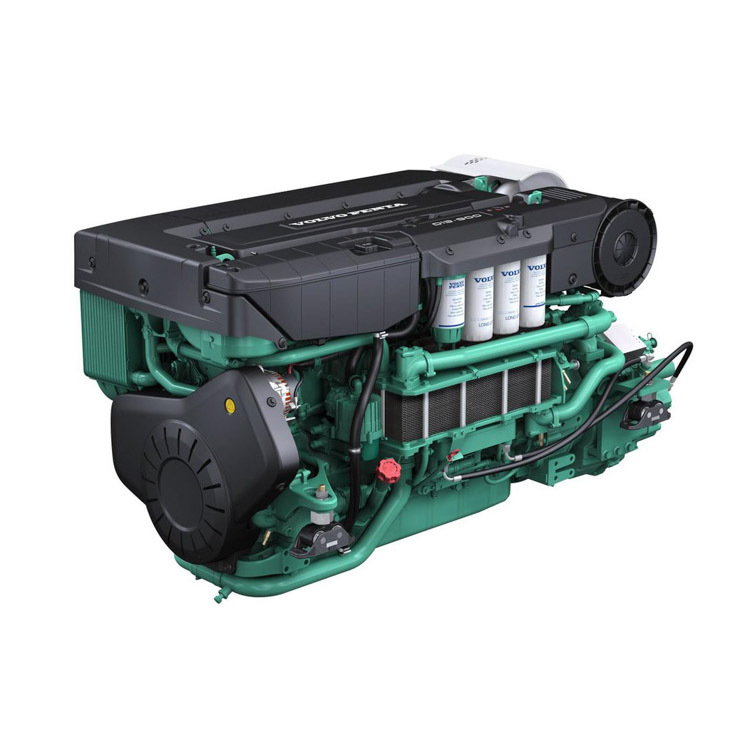 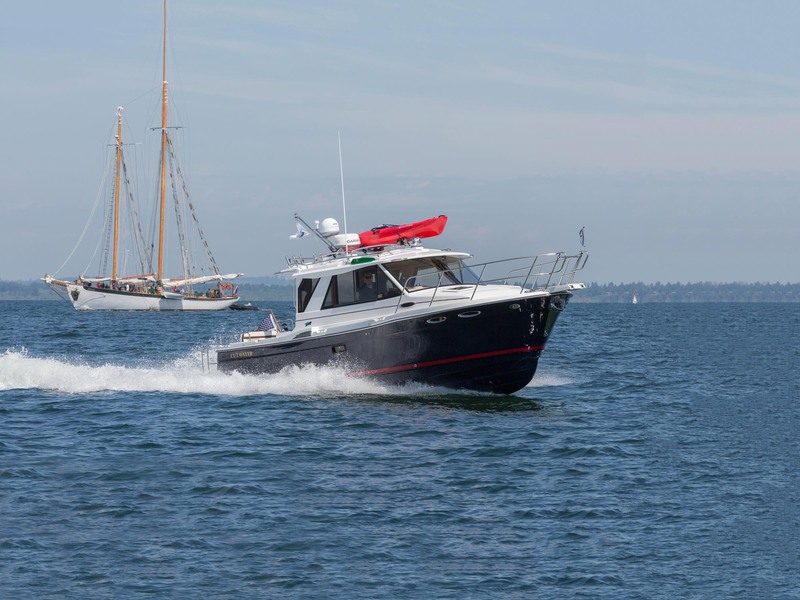 Single-engine diesel power and the exclusive Cutwater Hull design combine to deliver admirable cruise speeds, and exceptional fuel economy to maximize range. 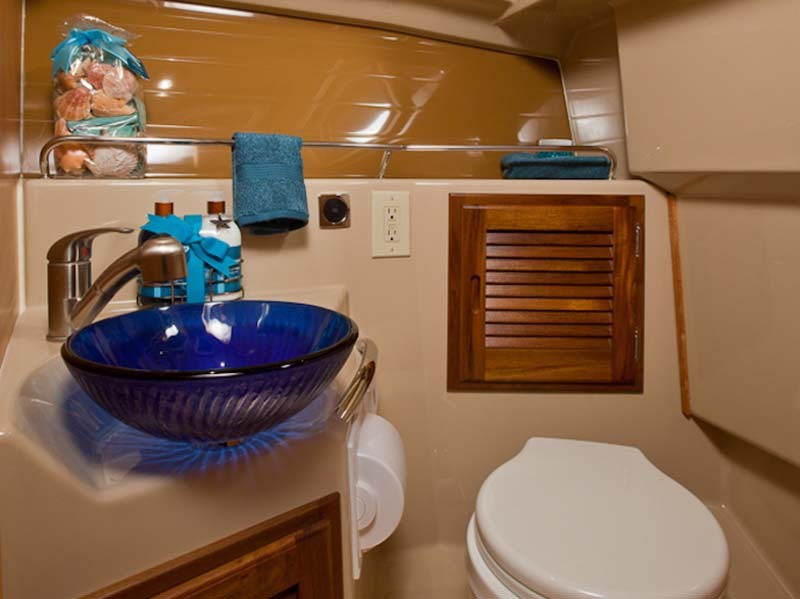 Standard bow and stern thruster make docking a breeze. 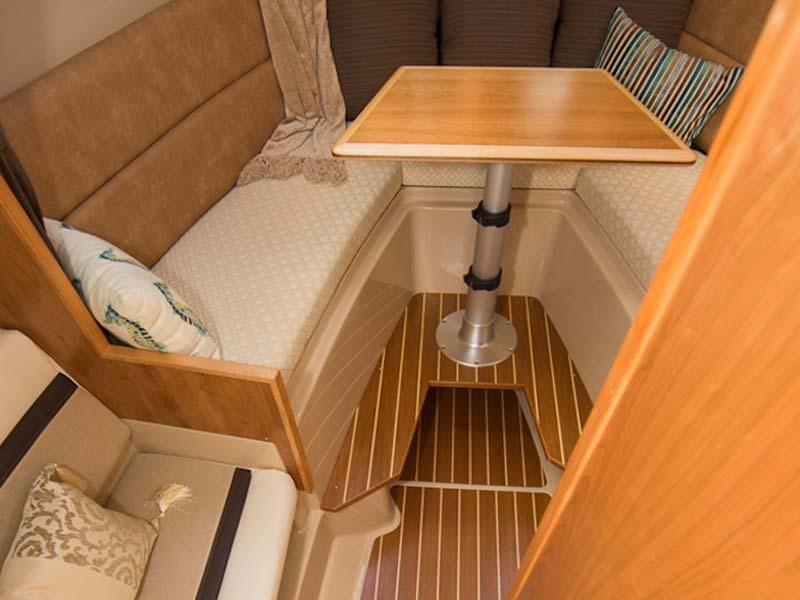 And being trailerable the C28 offers quick, convenient access to distant cruising waterways.